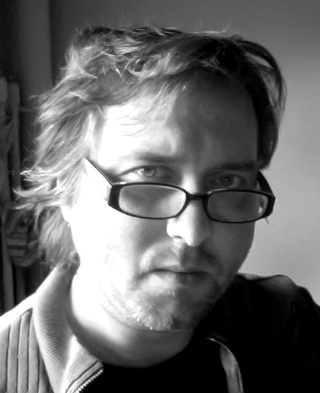 A visual consultant in the films and games entertainment industry, Mr. Alexander Lindner has been part of very impressive European animation movies in the past in the capacity of co-director, art director and script consultant. In a career spanning nearly 13 years, Mr. Alexander Lindner has been involved with several movies which have won awards and nominations, the most recent being the Oscar 2011 nominee, "The Gruffalo" in the Best Short Film, Animated category. Mr. Alexander, an expert in digital and matte paining, concept design, art direction and storyboard, also has an impressive knowledge in script writing and story structuring. CG Today : Mr. Alexander, it is an honor and privilege to get the opportunity to talk to you about your experiences across more than a decade in animation industry, which we are sure our readers would love to hear about. Please accept our hearty welcome. Alex : Thanks a lot for interviewing me for your website! CG Today : Let’s start with The Gruffalo. Nominated for the Best Animated Short, it includes several matte paintings by you. The story has been considered to be an aesthetical beauty with its simplistic charm that has stood true to the book. How do you go about the conceptualization when there is a story book to follow as opposed to a completely original work? Alex : Work in films is always team work. You are just a link in a chain to make a story or a conceptual idea work, even if you are holding a leading position in the film. There is always something you have to think about: The story, the vision of the director, the financial possibilities, and the target audience. A director or producer might hire you to push the boundaries, or to come up with unexpected and refreshing ideas. But, there is always their own idea and vision as well, which usually existed long before they came to the point to actually engage someone to put a pencil on paper. So, the “completely original work” you mention is something I rarely see happening in the film industry – the exception being someone who is hired for their own artistic universe, and the film and storyline is adapted to their art, as was the case with HR Giger's paintings for “Alien”, although even he had to change some of his paintings so they could actually build the set or fit a guy into the costume! In the case of “The Gruffalo” I was expected to follow the color keys – little gouache sketches – which were done before I came in. Of course, I was told where the animation of the characters was, what would be foreground, background and so forth. I received a 1 Terabyte hard drive by mail containing the animation files, and a very large number of set photographs, trees, flowers, grass, etc, so that I had sufficient material to work with. That was quite something! For the rest of the project I mostly worked from my home studio via internet and Skype, mostly with the compositing department. I never had any problem reaching someone there in the middle of the night when I had a question, so I guess they were quite busy too, haha! 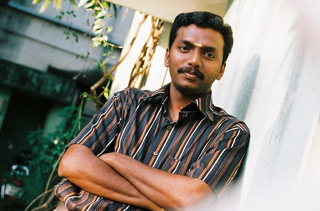 Vaseem Ashar is Visual Effects Supervisor at Thinking Hands in Bengaluru Area, India. 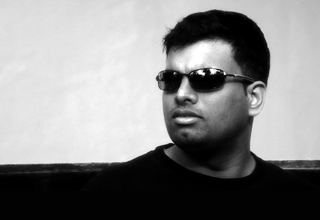 Before joining Thinking Hands, Vaseem was Lead Compositor at Synergy Images and Compositor at Auriga Multimedia. 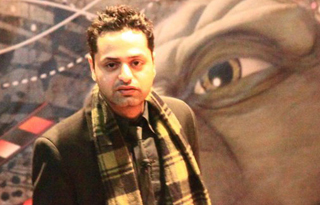 Mr. Ashar was educated at Auriga Multimedia, St. Mary’s, and CMRHSS. CG Today : Vaseem, it is our pleasure to speak with you. Thank you for taking time out of what we know is a busy schedule to connect with our readers. Vaseem : I am honored for this opportunity to share my experience with CG today. CG Today : We just watched your Vimeo show reel. Great work! Can you suggest our student readers on how to create a show reel? Vaseem : The name itself says "show" what you have done. Always people make the mistake of doing quick cuts and at the end of the video we do not find anything registered in our mind. Always we have to keep in mind that we require to "show crisp and short" at the same time give "enough time" for the shot so that the viewer can understand the purpose of it. 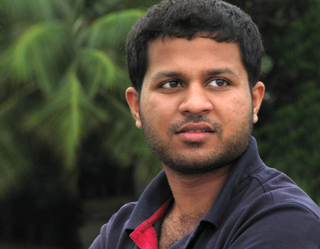 Sumit Pabbi is an Effects Artist at Lucasfilm Animation. Prior to acquiring this position, he was a Special Effects Artist at Big Animation, and a Support Tech at IBM Daksh. Sumit was educated at the Maya Academy of Advanced Cinematics, IIS Websity, and the National Institute of Information Technology. CG Today : It is a pleasure to speak with you today, Mr. Pabbi. CG Today : Lucasfilm, what a great place to work, right? Sumit : Yes, one of the best companies in the world and working on one of the best projects out there, all the way from live-action, Games, Animation and Visual FX. You name it and we’ve got it all covered under one roof with our 3 different departments: ILM, LucasArts and Lucasfilm Animation. A fun environment to work in. Vk Vijaykanthan has worked for Durrant Info Links, Ltd., was a Graphic Designer for Prasad Video Digital, performed as a 3D Artist at Pentamedia Graphics, Ltd.; served as a 3D Artist at Shy Communication, Ltd., was a Team Leader at Jadoo Works and was a Creative Team Leader at Digital Juice. He is, currently, a Lighting Supervisor at Pixion, CCL. Vijaykanthan graduated from the University of Madras. CG Today : Welcome to CG Today, Mr. Vijayakanthan. Vijay : Hi Gebby glad to meet you. CG Today : You are currently Lighting Supervisor at Pixion, CCL, one of the fastest-growing entertainment services companies in India. One of Pixion's many high-caliber clients, Discovery Networks, India, has said that the teams at Pixion. "think outside of the box". Is this one of the reasons you were drawn to this studio? Vijay : Pixion is a pioneer in entertainment industry for more than 10 years already and they have many other verticals under Century communication. I feel proud to work in this company for the CG Department not just because of its fame but also because they always have an eye for quality and innovative sense on each and every project they work with. Though we work in different parts of India we still are in a same track with both pipe and creativity.